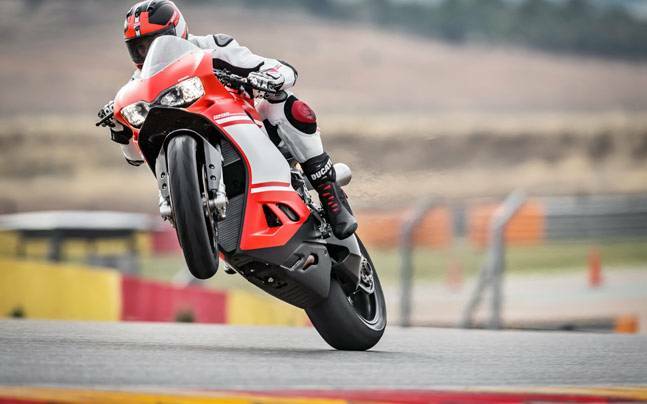 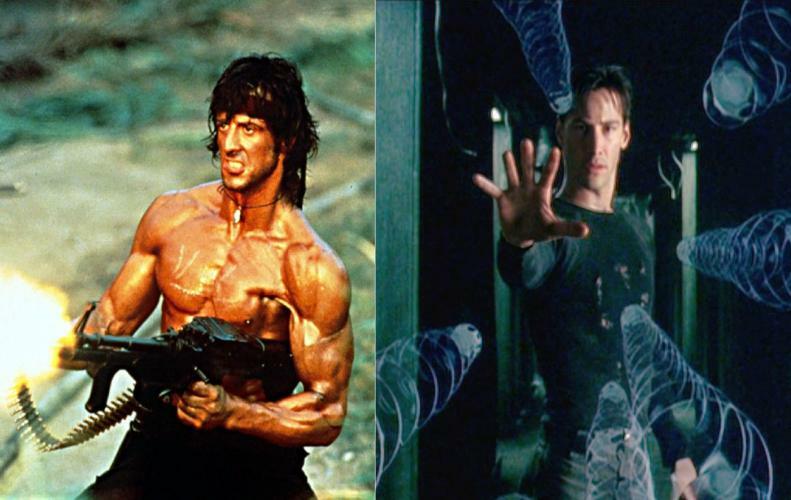 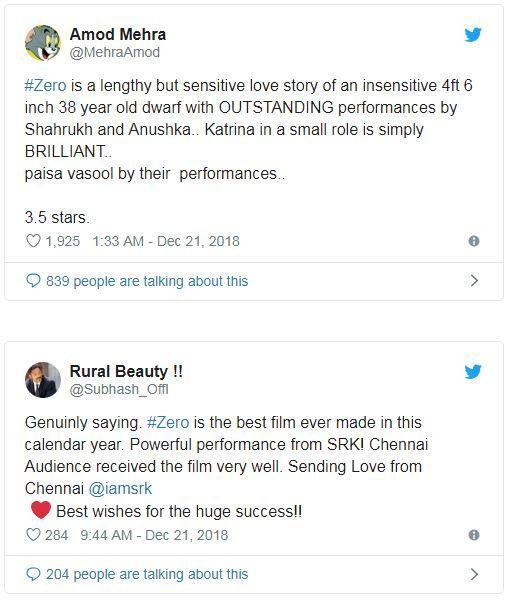 For all those SRK fans out there, Zero is a movie which you should go for. 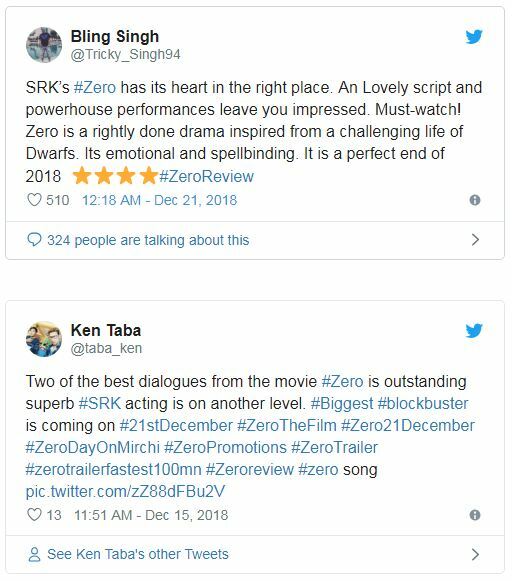 Zero carries an entirely new concept and a cute and complicated love story. 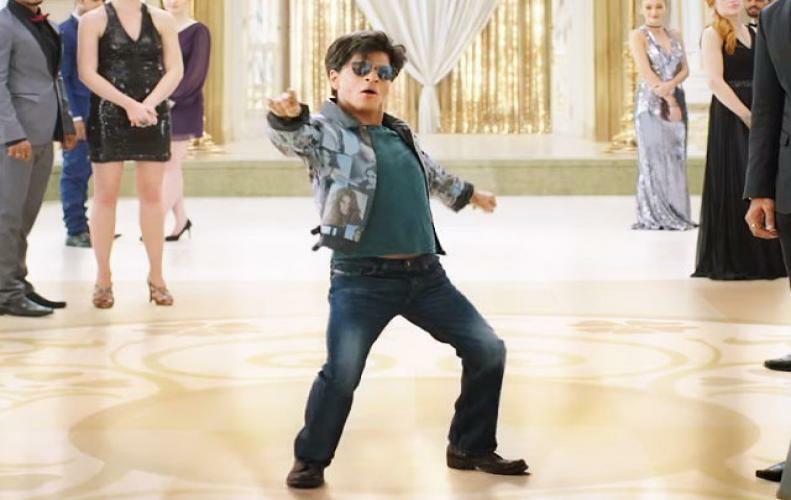 SRK is in a completely new look following a character of 4ft 6 inch 38-year-old dwarf who is still unmarried. 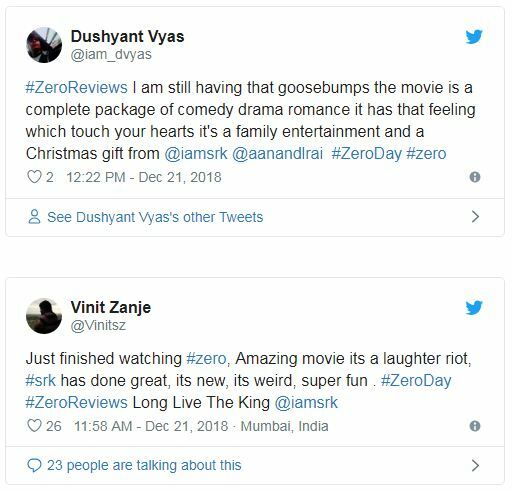 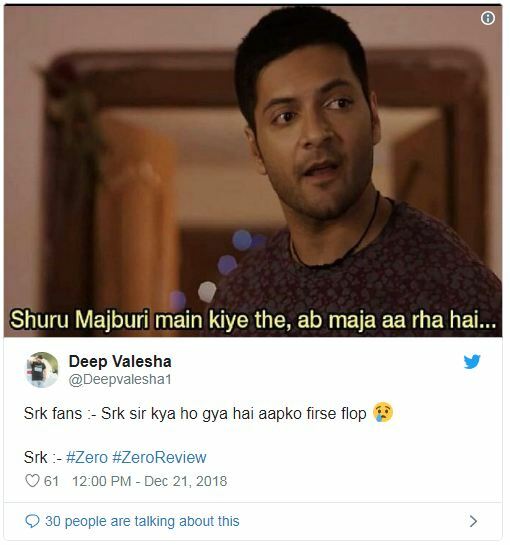 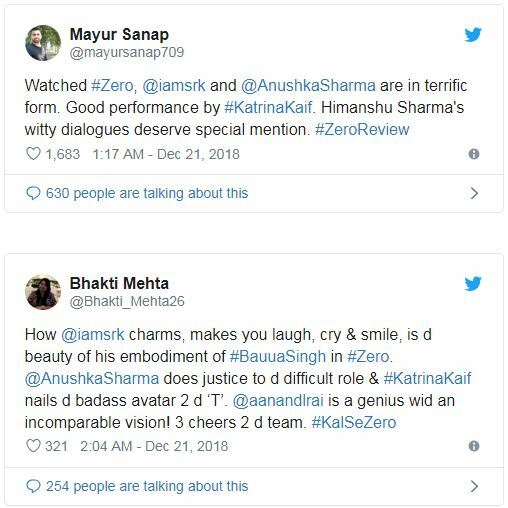 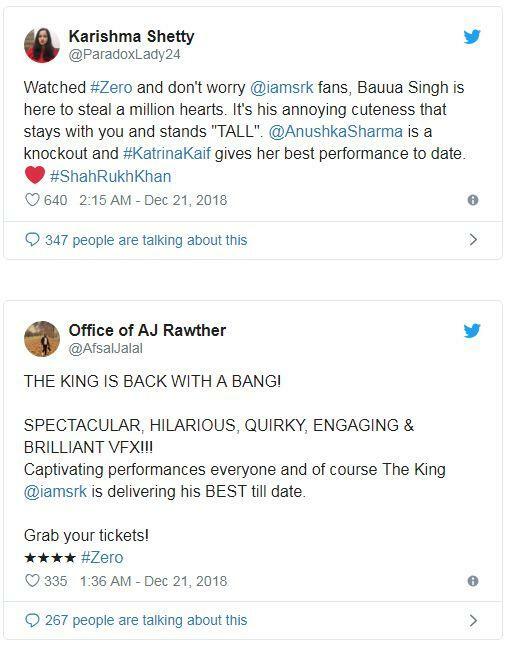 Overall performances are excellent by Anushka and Katrina, but we would suggest you to have a look at these tweets before booking a show for 'Zero'. 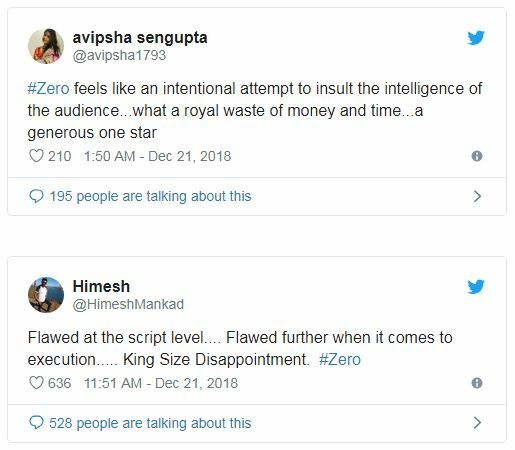 So now we hope you have an overall perspective of the movie 'Zero'. 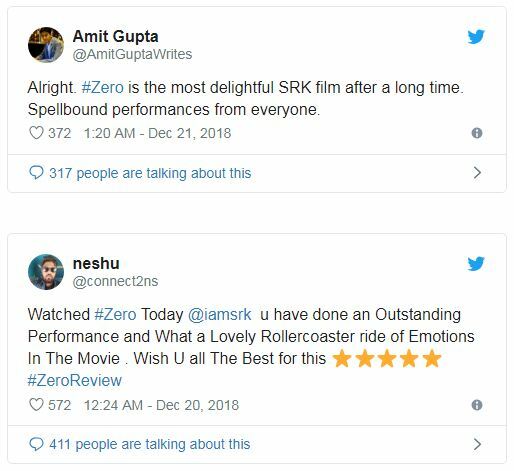 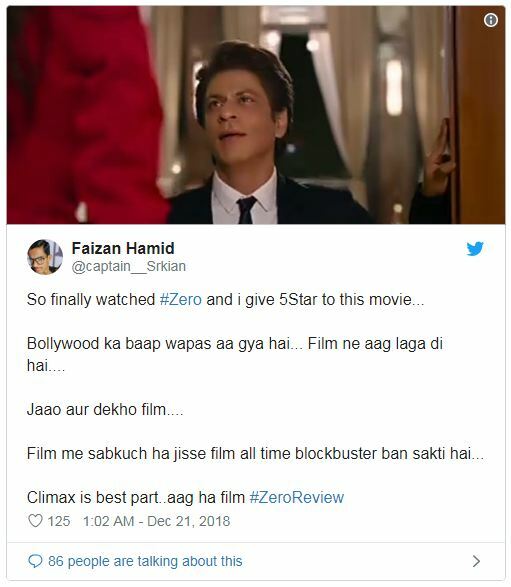 Remember everyone has its own point of view, so if you're a real SRK fan, then 'Zero' is something which you can't miss.